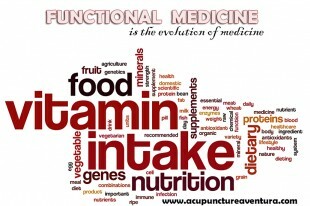 Functional medicine is a mixture of scientific research, western medicine and holistic medicine. Considered a progressive style of medicine that addresses the health care needs of this century, Functional Medicine focuses on intervention and assessment at the basic levels of metabolic imbalance. This is done by focusing on prevention and discovering the core cause of different chronic diseases. This practice deals directly with the main cause of the disease instead of suppressing symptoms. It is mainly focused on underlying imbalances and less involved in making diagnosis. Over the past few decades there has been an alarming increase in chronic and complex diseases like mental illness, cancer, heart diseases, diabetes, and autoimmune disorders. The medicine practice nowadays is more focused towards acute care, the treatment and diagnosis of illness or trauma which are of short duration as well as urgent care like broken leg or appendicitis, which requires urgent surgery or drugs to treat the symptoms. There is a massive gap amongst the practice of doctors and research. According to research, almost 80% of diseases are chronic which could have been reversed by early detection and suitable medicine. Majority of the mainstream and traditionally trained physicians haven’t been trained to assess the basic causes of chronic diseases and apply proper strategies like exercise, diet and nutrition to treat and prevent many illnesses. Functional medicine is a patient centered care rather than a diseased centered one. The practitioner intently listens to the patient’s story, assesses it and designs possible treatments focusing on the unique needs of the patient. Practitioners evaluate the lifestyle, physiology and history of the patient that lead to the disease. They also consider the genetic makeup of the individual as well as internal and external factors that affect his/her total functioning. Functional medicine integrates the best practices of western and eastern medicine, focusing more on preventive health care through stress reduction, exercise, diet or nutrition. This practice also utilizes modern diagnostic techniques and laboratory tests to properly diagnose a disease or condition. The functional medicine practitioner sometimes prescribe natural synthetic drugs for short term intervention strategy BUT prefer to utilize natural remedies and medicines like stress-management techniques, detoxification programs, therapeutic diets, supplements, herbs and/or botanicals. At our wellness center we endeavor to take a functional medicine approach to treating disease. Our goal is to provide each patient with the best of eastern holistic medicine (such as acupuncture), combined with sound nutritional guidance as well as utilizing traditional western medicine and diagnostic testing when appropriate. And we are open to working with your western medical doctor to optimize your health. Call 786-537-7022 to learn more about our integrative approach to treatment and to schedule your first appointment.